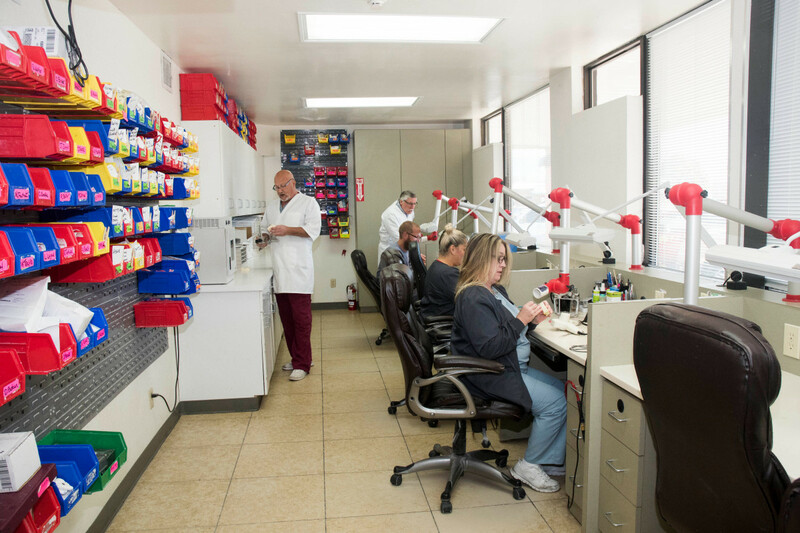 Having an in-house laboratory gives our doctors the ability to oversee every step of the denture making process. No part of the process is completed without your doctor’s oversight and approval. 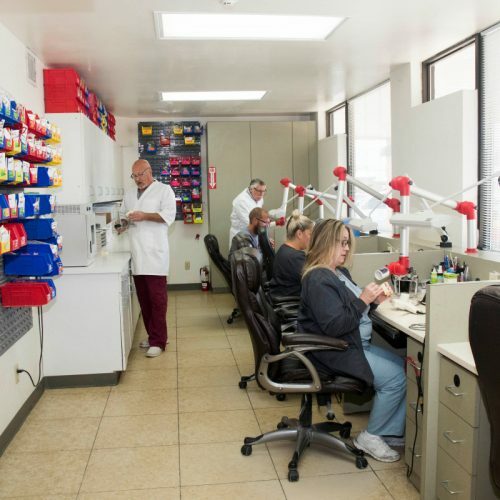 You will have a single technician assigned to perform all lab work for your dentures. Your technician will be right next to the dentist in order to receive instructions from the doctor as well as feedback from you. With all laboratory work done right in the office we enjoy a level of control over the finished product. Most dental clinics have to rely on outside labs where miscommunication can lead to either delays or a poorly-fitting unsightly final denture.